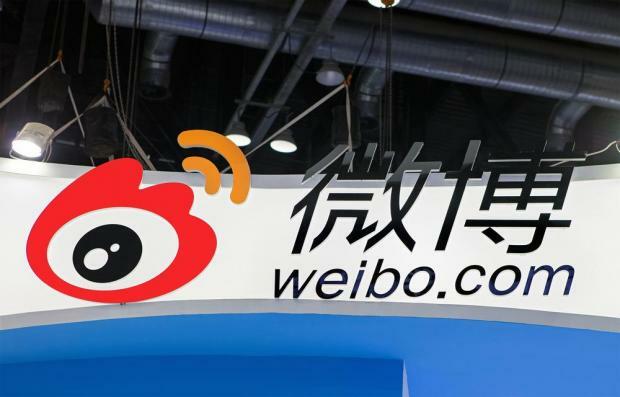 We started coverage of Weibo Corporation with an overweight recommendation and a price target of $116 per share. Weibo will issue Q2 2018 results on 08/08/2018. We see the recent weakness in the share price as a buying opportunity. Following a weak Q1 2018 due to lower advertising revenues, which are expected to be recovered in Q2 2018. Weibo is one of the biggest social media platforms in China. It is equivalent to a combination of Twitter and Facebook. We believe with the continued increase in the size of the middle class in China which is leading to a higher demand for smartphones and use of technology will continue to stimulate growth for this company. Weibo enables its advertising and marketing customers to promote their brands, products and services to users. Weibo offers a wide range of advertising and marketing solutions to companies of all sizes. The Company generates a substantial majority of its revenues from the sale of advertising and marketing services, including the sale of social display advertisement and promoted marketing offerings. Our price target of $116 is based on a discount rate of 15% and a forward P/E multiple of 30x. The 30x P/E earnings is equivalent to the multiple on which Facebook shares are trading. We view this multiple as being conservative for a company like Weibo due to the fact that it is a growth stock and in a much more early stage of the cycle than Facebook. Any positive surprises in the results going forward could warrant an increase in the multiple which in turn will increase our price target. However, due to the risk that the ban on US companies like Facebook is removed (an unknown we cannot forecast), we prefer to remain conservative with our multiple. We expect revenue to increase by 65%, 45% and 35% in 2018, 2019 and 2020 respectively. 3. 79% of Weibo’s users are between 17-33 years of age. We expect EBIT margin to increase from 35.4% in 2017 to 40.0% in 2018 as the Group benefits from reduced costs and economies of scale. We have seen large reductions in operating expense margin over the years and expect this trend to continue in the future. Earnings per share: We are forecasting an EPS figure of $2.87, $4.15 and $5.61 in 2018, 2019 and 2020 respectively. The greatest advantage for Weibo is barriers to entry. China’s censorship – the “Great Firewall” – limits foreign competition Weibo is exposed to. Google, Gmail, YouTube, Twitter, Facebook, WordPress, and Vimeo are some sites blocked since 2009. This played an important part in Weibo’s fast-paced success. Weibo works with domestic smartphone manufacturers to optimise its app for greater efficiency, lower storage/battery consumption, and faster response times. It works with smartphone companies to integrate the app into devices at product level. We believe Weibo is well positioned to continue to benefit from growth in China in the social media sector. From a valuation perspective, we are of the view that Weibo shares are attractive and investors should consider an allocation in the stock within a well-diversified portfolio. Disclaimer: This article was issued by Kristian Camenzuli, investment manager at Calamatta Cuschieri. For more information visit, www.cc.com.mt. The information, view and opinions provided in this article are being provided solely for educational and informational purposes and should not be construed as investment advice, advice concerning particular investments or investment decisions, or tax or legal advice.